Brochure design can be an interesting part of your brand identity, making it look good and convey your message can be hard. But through some careful consideration and thought you can come up with some clever and engaging designs that not only convey your message, but also bring through your brand values. We have collated some examples of brochure design that does this well below, so without further ado let’s see them. Majestic is a luxury real estate client, and their brochure does the perfect job reflecting that luxurious status. 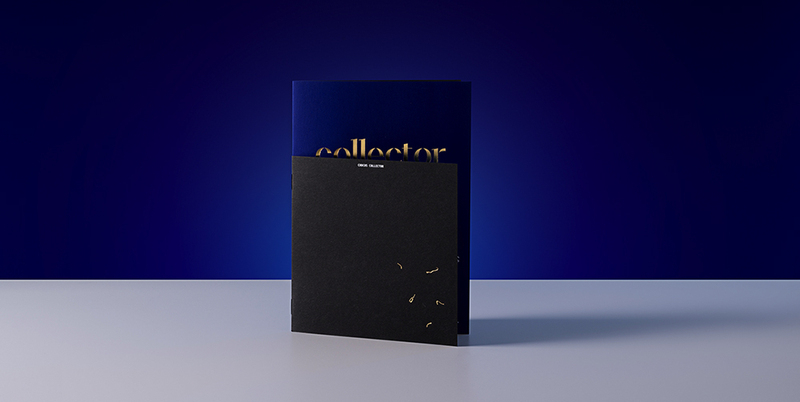 With a mixture of clinical, creative design and some clever printing techniques like copper foiling, debossing and die cutting this brochure really is a class above. 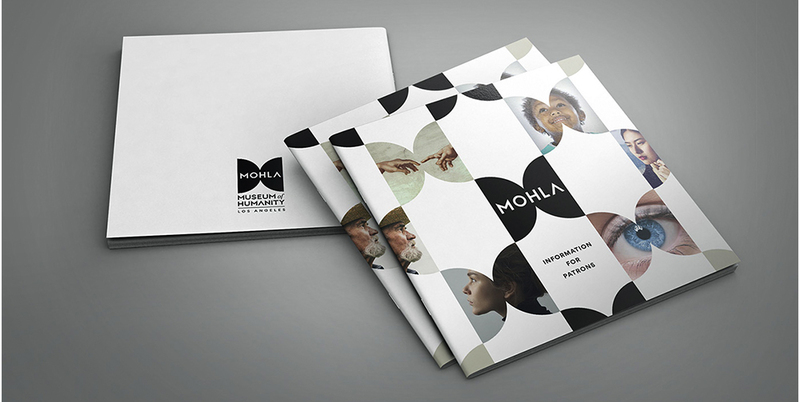 The end product shows how you can push your brand identity and values through into your printed materials. Potential clients looking at this brochure will expect a high class service and product. If you run a nursery, I am guessing you don’t need to come across as luxurious and classy (depending on your customers). But with a little time and consideration, this example shows how you can pull through your brand message. So, for a nursery you may want to look into some hand painted print effects, or an interactive element, really pushing the nursery feeling. This museum brochure may take a slightly different approach than your stereotypical museum look. It combines classic imagery with brightly coloured scribbles and paint strokes, linking to the fact the Groninger is an Art Museum. These bright colours give a fresh and exciting feel to the brochure and the clean considered typography makes it easy to read and understand. Opposites attract, that’s what they say isn’t it? 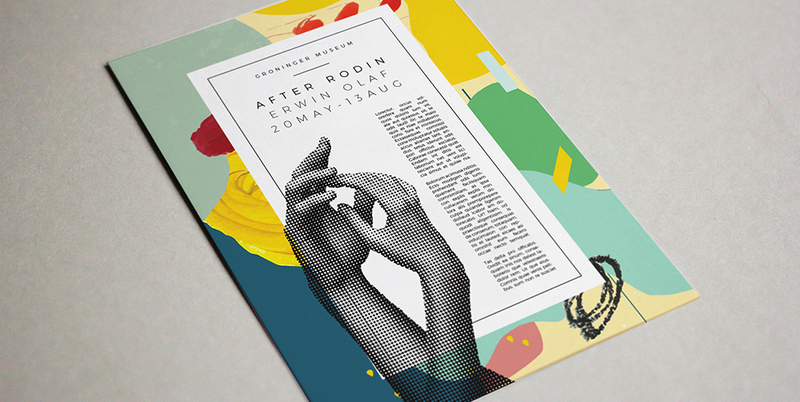 Well this chaotic, colour filled design with clean and crisp imagery and typography follows this logic to a tee. Using almost messy brush strokes is being used more and more, and I wouldn’t be afraid to come off a little rough around the edges, when done properly it can look great, just look at this example! 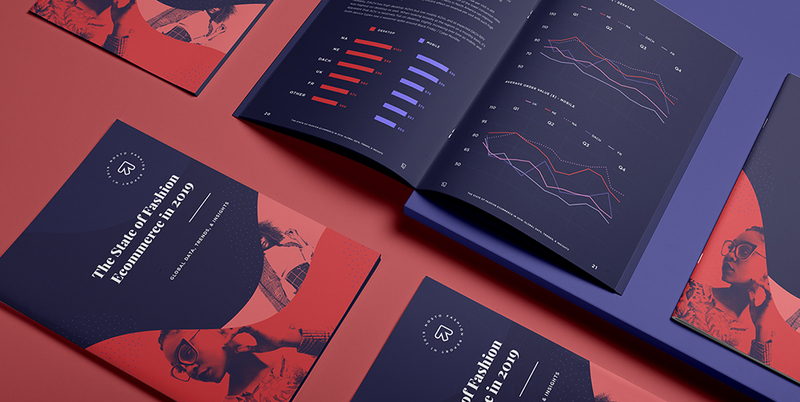 This report is right on trend at the moment, beautiful multi-tone images combined with serif typography creates a bold visual style. The print has been done beautifully as well. Instead of using white pages for the main content they have stuck with the dark blue/purple, emphasising their brand colours and pulling their bold visual style from the front cover right through the brochure. This is an annual report, so it’s an opportunity to experiment and spread those wings in terms of design, stretching the boundaries of the brand. So don’t be afraid to push the design of an annual brochure to really connect with customers or staff now, rather than trying to make the design last a lifetime. Simplicity is sometimes the key. And let’s be honest when it comes to finance and banking, we need it kept simple so we can actually understand it! We aren’t all blessed with the mathematical skills of an accountant. 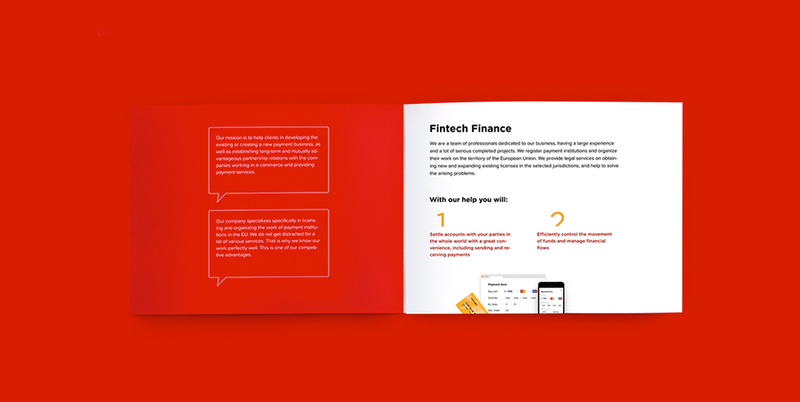 Fintech Finance understand that and have made a brochure that is simple and easy to read. 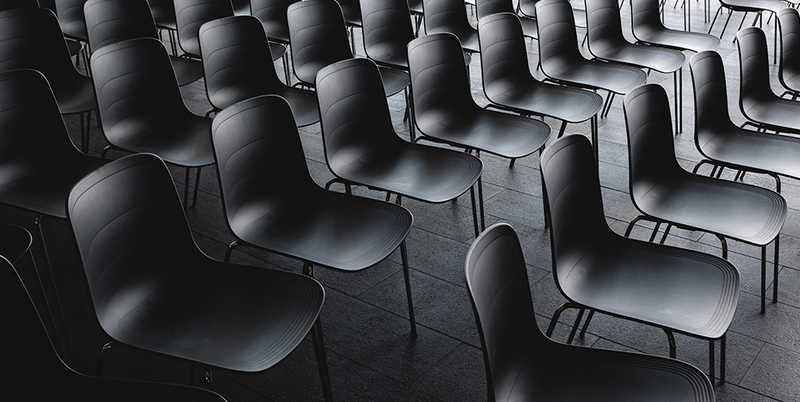 Function is key when it comes to design, all the bells and whistles don’t necessarily mean that it is practical for the user, so this minimal design works really well. But don’t think this means it has to be boring, the use of bold vibrant colours and clean illustrations make it very nice to look at along with being easy to read. Functionality, practicality and user experience are really important in design. So be sure to really figure out what your brochure is produced to do, who is going to use it? What do you want them to do after they have read it? Once you know that, you can create a design that gets them to the end goal as quickly and easily as possible. Realcraft are a motorboat manufacturer and their catalogue is another example of being on trend with design even though it is 2 years old. Again using toned images with stylised typography creates a strong visual identity. They also use a seemingly overflowing bank of product imagery and illustration, which pulls the whole design together. So when your designer asks for product photography or suggests you to get some professional shots taken, try not to instantly think of the pound signs! Try to think of how good all your printed items and online presence will look with a completely unique set of your own photography. In a world where people see, and double click to like without even reading anything, your imagery has to be eye catching and bold. This cosmetics brand is all about appearance, which is very clear when it comes to their brochure design. A multi layered approach with a very luxurious feel is enhanced further, when it is wrapped in a gold foil bag. Maybe a little extreme for some, but when your brand is all about luxury this is just the ticket. 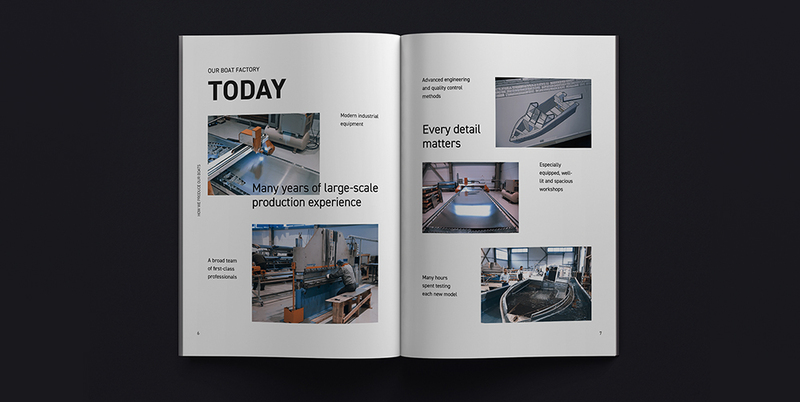 An array of printing techniques partnered with the clean crisp design gives the user a tactile and interactive brochure design they can touch and feel. This luxurious feeling only enhances the brand’s status with the consumer, which in the end is what you want. Even if a consumer does not convert straight away, your brand will be ingrained in their brain for all the right reasons. Don’t worry if you don’t understand anything on this brochure, the reason we picked this as a good example is because it has a different feel to the luxury brochures we have given a couple of examples of. This is a brochure for tea, Chinese tea I think (I recognise some of the characters so I am taking a stab at it being Chinese, apologies if this is totally wrong)! And the Chinese have great tea! 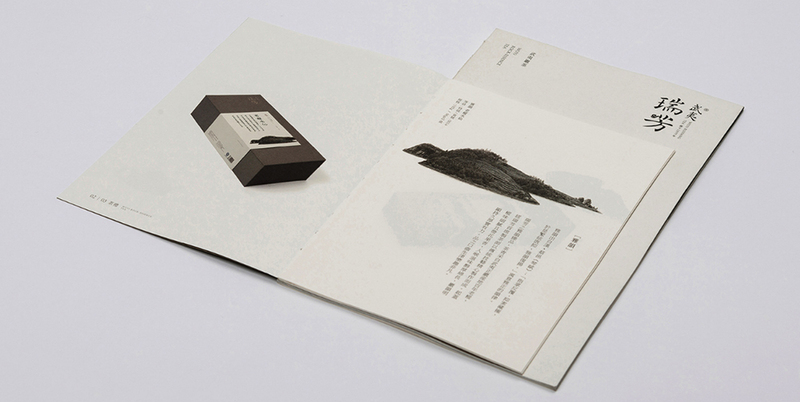 Tea is a very earthy product, and this brochure displays that earthiness brilliantly. You can almost imagine it rolling through their product packaging designs. From paper choice for both the cover and the main paper, to the beautiful calligraphy like script, even the way the brochure is bound. The stitching looks as if every brochure has been hand stitched by one person. Altogether this example shows a different way to really connect with its customers, giving them reassurance that if there product has as much love and care put into it as this brochure has, they will get some damn good tea. 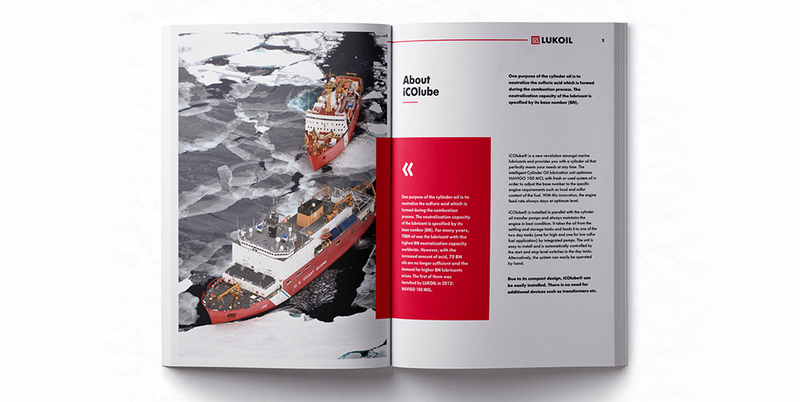 The LUKOIL brochure is a perfect example of being able to make some pretty mundane content into a pleasant reading experience. So if you’re into this sort of content, then it will be even better. Using some clean typography and layout, that makes each page easy to read, with bold red boxes for any important bits, this minimalistic approach works very well. Add some quality photos and you are onto a winner. Again I am pushing the importance of photography, but it can really pull your whole design together. I understand not everyone has the budget to go to the Arctic to take some National Geographic standard photos, but also don’t settle for the bog standard stock photos! Take a little time to really think about what you want to get across with images. Are they demonstrating a concept or theory? Or are they simply visualising a section of content? Just make sure they do that, and they aren’t just an afterthought! Sometimes having a little bit of both fancy print and a more handmade approach can work well together. This brochure for an office investment in Warsaw, Poland finds a good balance between its industry look being slightly more high end and wanting to connect with the roots and the city where it is situated. Using a series of lovely print and design ideas, from embossing, debossing, adding a box and sleeve, to adding folding out elements they have made it a truly tactile and interactive experience for the reader. Along with this, they have hand drawn elements and local photography that link it all back to the area and its heritage. Even if you are in a high end industry, don’t be afraid of connecting with your history or where you came from. This brings you down to earth and allows potential customers to really connect and relate with your values and the company overall. Essem design produce hallway products and furniture, and with their brochure they combine artistic product shots and typography with playful illustration styles that really work. Sometimes trying to create a playful look can really backfire and it can look unconsidered and rushed. With Essem I feel like they have just the right balance with the playful scribbles and coloured dots, acting as frames or backgrounds to the main content. Not overwhelming what the brochure is actually trying to sell. With all the examples we have shown so far, there are some amazing print techniques and clever ideas. But it is important to mention that they all, in my opinion, still get across their core message, whether that be selling a product, visualising data, or just raising brand awareness. So, function over fanciness. Yes make it look amazing, but make sure your brochure design does what it needs to. 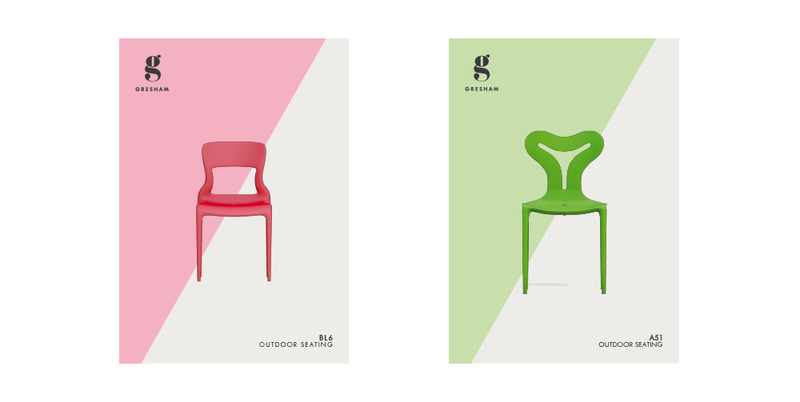 Gresham create bespoke custom furniture, and they have a great product brochure range that uses their brand identity, but also manages to use colour well too. I tend to stay away from using colours for products, the more products you get, the quicker you run out of colours and shades of the same colours. But Gresham have made their products the centre of attention, they are brightly coloured and beautifully photographed so the colours are just a nice background addition to the brochure covers. The other thing I really like about the product brochures is the consistency. They have the same photography set up for each product and the covers are all the same style, it paints a solid picture of what your brand looks like in the minds of consumers and brand recognition is half the battle. 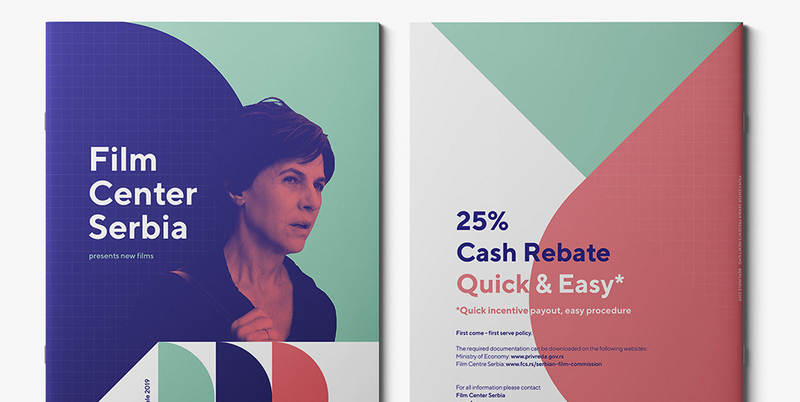 We love the use of colour, especially these days where you can do more and more with print, getting pretty much the same colours you see on your screen in most cases. So this brochure for the Film Center Serbia is a definite winner for us. 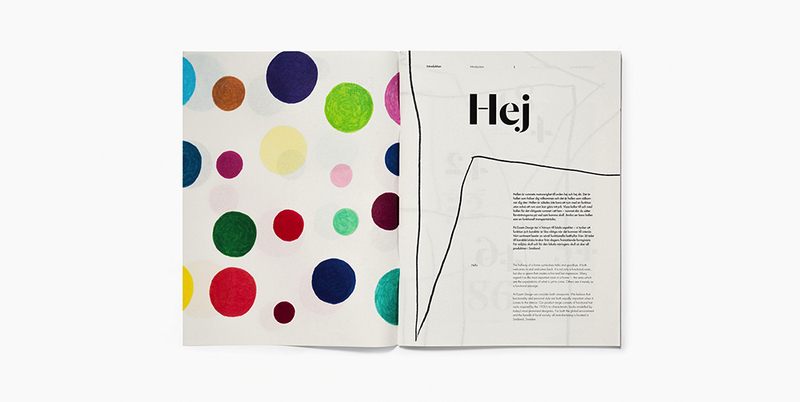 The colour palette is bold and vibrant and almost jumps off the page. With this ability to really push the boundaries with colour, legibility can become a bit of a problem, with printing on big solid colours, sometimes inks can run so be sure to test your print first. But the Film Center Serbia brochure design does a great job of partnering up colours and typography to make sure everything can be read on these beautiful colours. In my last post 21 A+ Examples of School Branding and University Branding I wrote about the University of the Arts London’s University branding, and I liked it so much I had to mention it again in this post. 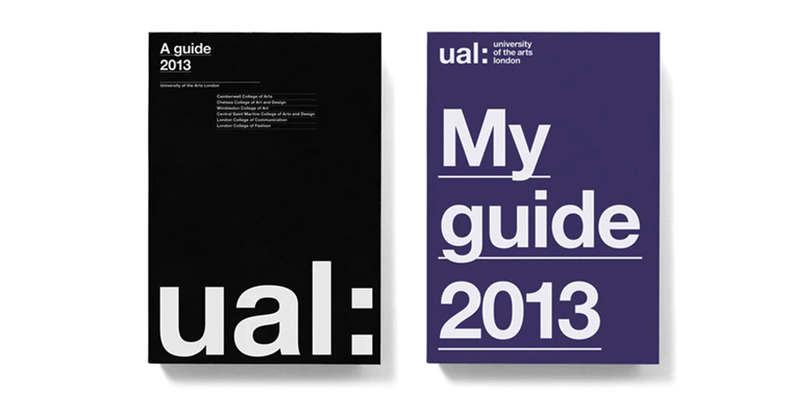 The multiple brochure designs for UAL use big bold typography that covers most of the page. Partner that with a clever selection of colours to really make the text stand out and covers take a very on a minimalist approach but make sure that the message is conveyed. Taking a minimalist approach really works in my opinion, especially with brochure covers. Why confuse the reader with multiple bits of information? Get straight to the point and get them flipping the page to find out more. Entice them in with beautiful design, and Inform them with clear messaging. Make them engage with your brochure. 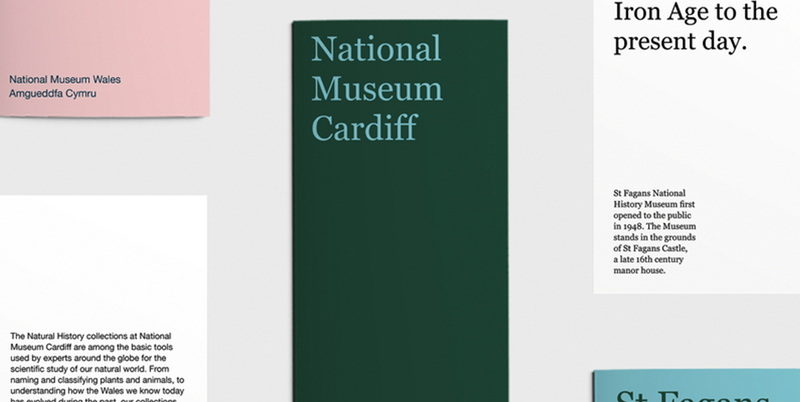 Similar to the last example the National Museum Wales brochures take a minimalist approach that really puts the emphasis on the content. Using an elegant colour palette with a combination of big serif typography for titles and headers and sans-serif typography for the body copy, it comes together to make a clinical design. So again don’t be afraid to keep it simple and clean. White space isn’t a bad thing, it can lead readers to the next item of content. Don’t fall into the trap of putting content in for the sake of it. 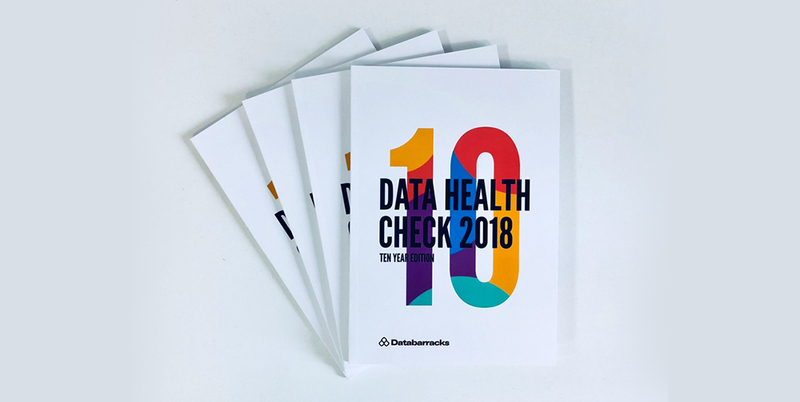 The Data Barracks Data Health Check is an annual report of the IT industry. Along with all the data being put together on a website we found a brochure design for this as well. We really like the cover which is slightly contradictory on our part, it is hard to read the main title but over the large number ten, I think it works really well. It almost makes the reader work a little, engaging them straight away with some clever minimal design. I wouldn’t encourage this all the time but it works well in this instance. It’s important to know your consumers, it will either allow you to get away with a little more or a little less when engaging them. If the target audience is IT Specialists and Problem Solvers, they may appreciate a subtle challenge. Whereas another target audience may just want it to be as clear and easy as possible. So know your audience and you can build a design round them. Ting have a beautiful brand and logo design, and have fully embraced that on their magazine designs. Using the loose colour palette of green, blue and orange with a clean pastel pale tone, they have a visual that stands out while staying in harmony with each other. Adding to this with gold foil really lifts these elements off the page, creating an almost 3D visual. I love the touch element of print and I think it always engages a user, whether they know it or not. Making the experience of reading through a brochure more than just using your eyes is key. The feel of the paper, the smell of the print can stick with a consumer and it might be one of the reasons they remember your brand in the back of their head. I am a huge fan of basketball and sports branding, so anything to do with Michael Jordan is normally greeted with a big thumbs up from me but this catalogue for the 2018-19 collection gets a big two thumbs up. 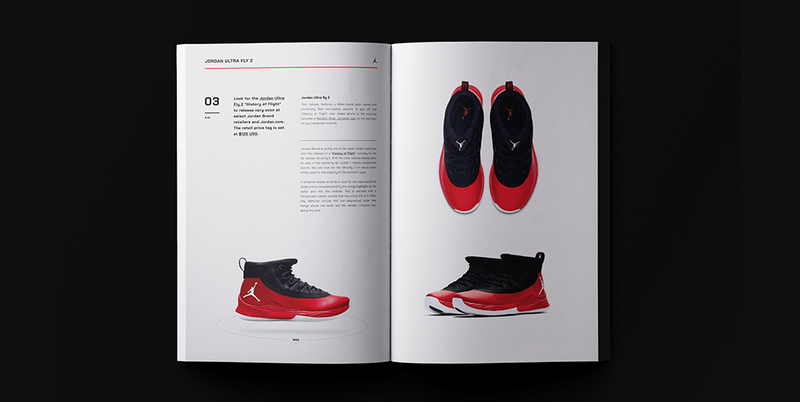 The use of red and black for the full colour pages are really bold and striking and who was bolder than Michael Jordan himself? The brochure design almost feels like a collectable with the two different covers, bringing through that quality element along with that special, limited feeling. Emphasising the values of Jordan’s brand and the man himself. There will only be one Michael Jordan. Bringing through your brand values in your printed items and especially your brochure design is essential. If your brochure is the first point of contact for consumers you need to get across exactly what you’re all about, to build the trust and relationship with a potential consumer. 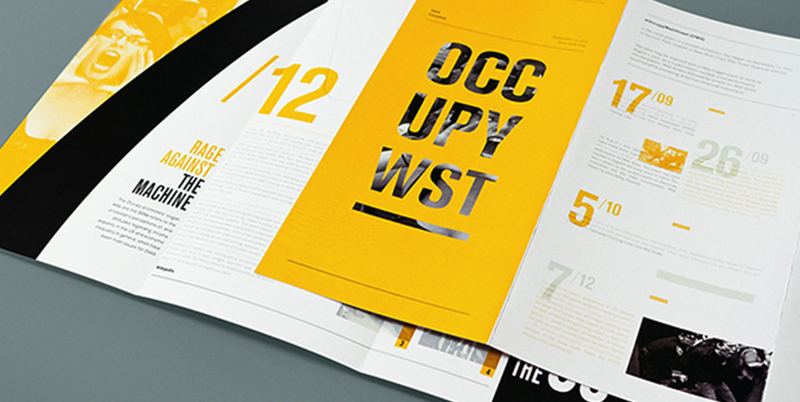 The OCCUPY Wall Street brochure was created to give an identity to its movement. Its purpose was to bring knowledge to people on the matters it was covering along with giving them an easy way to spread that knowledge. The black and white colour scheme links to photo journalism and historical events with the contrasting yellow and bold typefaces giving the brochure design a loud and energetic feeling. This in your face design is an assault on your eyes but that is the point. Every revolutionary movement has the loud and energetic feel, mixing such feelings like hatred and fury with faith and belief to create a potent mixture, which is displayed in this brochure. So if you have a strong message, make sure it is conveyed in your brochure design and don’t be afraid to shout your message! In a world full of voices and overwhelming information, you have to shout to be heard. 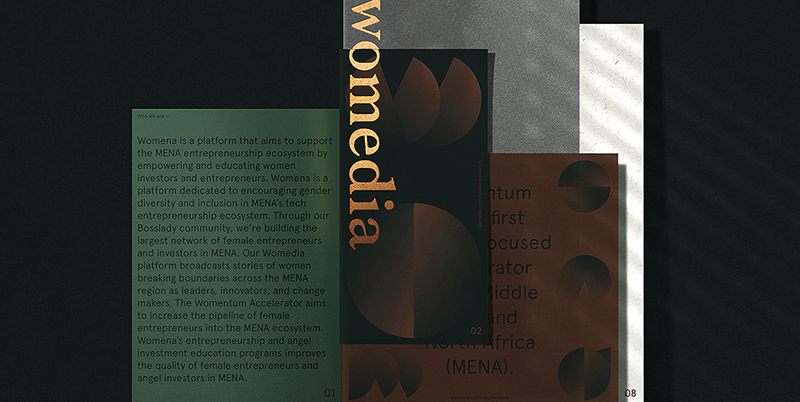 Womena is a platform all about gender diversity and inclusion, focusing on female leadership and educating future leaders, and their brochure is a perfect reflection of this. The layered brochure, with multiple covers and sleeves in different colours and papers screams diversity and inclusion, the brand values have been stained and printed in the very fabric of the materials just by using a multitude of options. Yet all this diversity is well balanced which is the main messaging behind the brand icon. Two halves coming into balance. 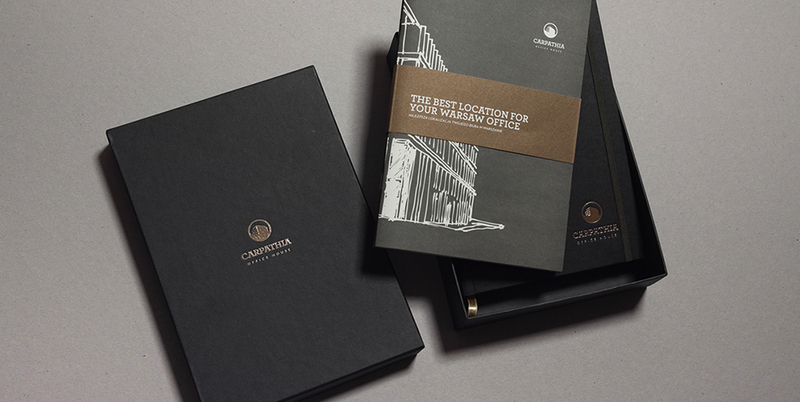 This is another great example of utilising your brand strategy through your brochure design. This consistent message of your brand will make it easy for consumers who want to connect and relate to your brand. The Museum of Humanity is all about coming together as one to realise the potential of each and everyone of us, in turn creating a better future. 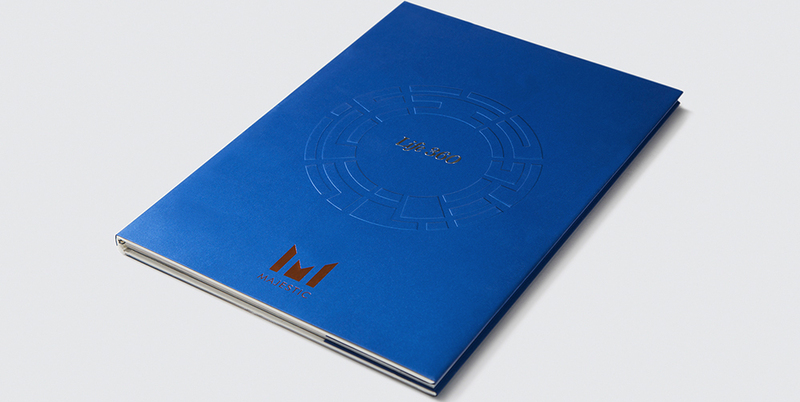 The brand icon has a message of two becoming one, which is reflected in the brochure design. Using the brand shapes to encompass images and typography or to outline and highlight certain content. The brand messaging is emphasised throughout the brochure. 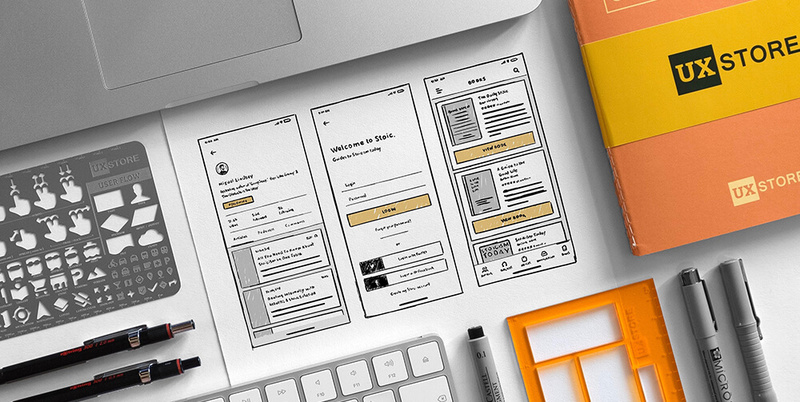 This is a great way to approach a brochure design, rather than focusing on product photography (if you are not able to get it), then choose to focus on the concept of your company or brand. 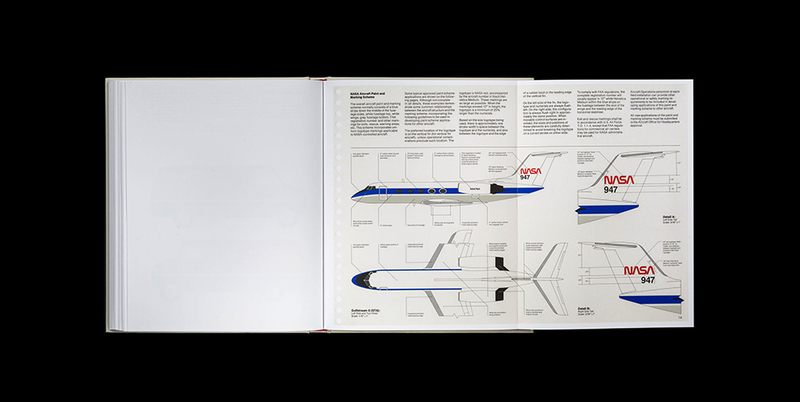 NASA’s Standards Manual might be nearly 50 years old, but for many graphic designers it is still held in high regard. There has been many iterations and now you can even buy them if you want one for a keepsake, which I am not embarrassed to say, I will be purchasing. 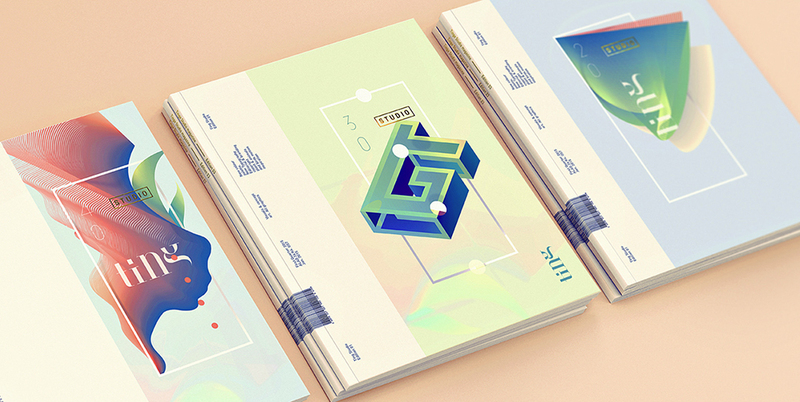 But at its core it really sets the bar in terms of brochure design. The first thing you see is this futuristic silver foil bag, instantly recognisable as something to do with space and NASA, brand recognition at its finest, not that NASA needs it. Then when you flick through you have these ring bound sheets of paper that fold out, giving you the sense of it almost being hand drawn and designed with pencil and graph paper. 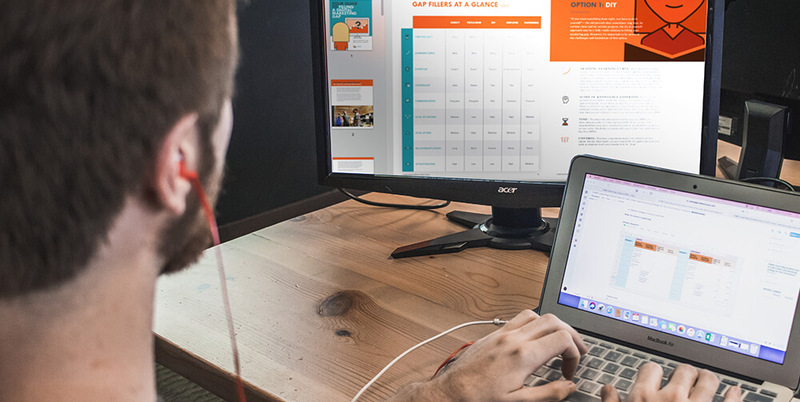 This interactive element gets the user engaged with the brochure design, which is always a plus. Some of these examples have some clever ideas, and span from being luxurious and minimalist, to being loud and out there. But all of them get there point across, whether that be selling a product, raising brand awareness or getting an important message across. 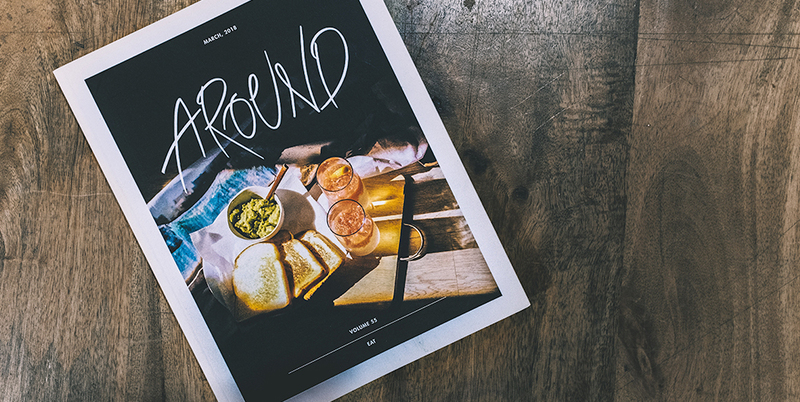 Your brochure design should focus on doing one thing, and doing it well. Whether that’s selling, or creating awareness, focus solely on that. Combine that focus with your brand strategy, and you’ve got a brochure design that will work for your business. Does your brochure feature function and purpose over its looks? And does it incorporate your brand messaging?